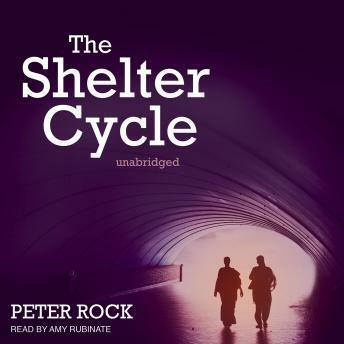 The Shelter Cycle tells the story of two children, Francine and Colville, who grew up in the Church Universal and Triumphant, a sect that predicted the world would end in the late 1980s. While their parents built underground shelters to withstand the impending Soviet missile strike, Francine and Colville played in the Montana wilderness, where invisible spirits watched over them. When the prophesized apocalypse did not occur, the denomination's members resurfaced and the children were forced to grow up in a world they believed might no longer exist. Twenty years later Francine and Colville are reunited while searching for an abducted girl. Haunted by memories and inculcated beliefs, they must confront the church's teachings. If all the things they were raised to believe were misguided, why then do they suddenly feel so true?